Having renewed their 20, 23, 26 and 31 ppm machines at the beginnning of 2011, Sharp is continuing to launch new machines with the MX-4112N (41 ppm) and MX-5112N (51 ppm). These new MFPs have the same design as the entry-level machines. They have the famous 10-inch color interface with all its advanced documents server features (drag and drop, previews, etc). 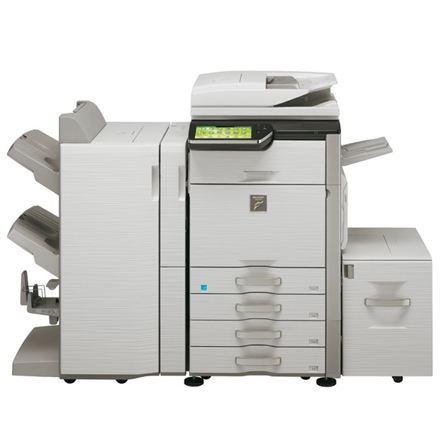 As opposed to the other print engines, these two new machines have a document feeder with a capacity of 150 sheets, a double scan head and a new booklet finish module.